1. Bring a large pot of salted water up to a boil. Cook pasta according to pasta directions. Add frozen greens in for the last 5 minutes of cook time. 2. Mist a large skillet with olive oil and dd butter. Heat to medium and add onions, cooking about 5 minutes. Add flour, stir to coat onions, and cook 1 minute. Add beer and cook off for about 2 minutes, this will thicken up a lot. 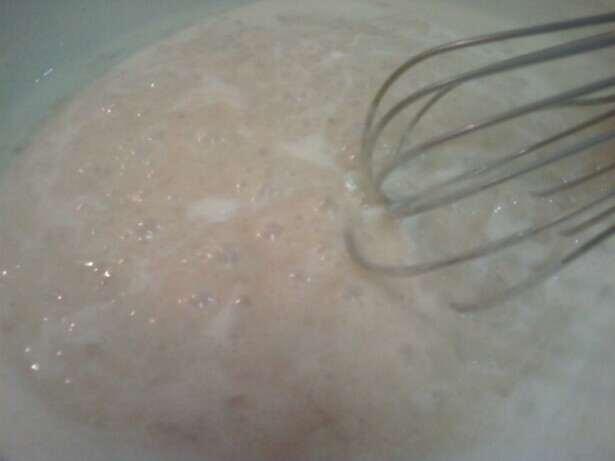 Whisk in milk, and let bubble until it thickens. Salt, pepper, and cayenne to taste. Stir in mustard, ketchup, and lower heat. 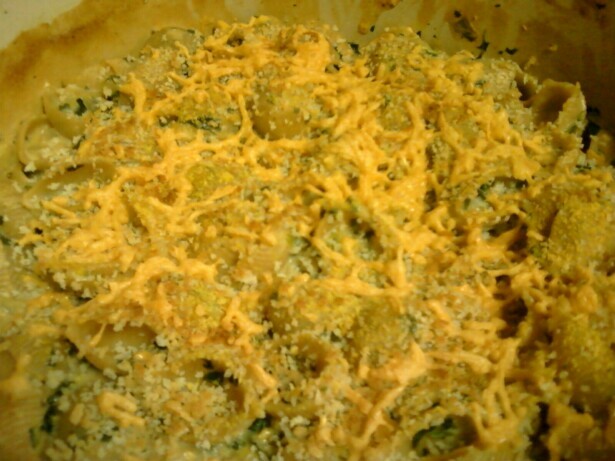 Add cheese shreds and 1/4 c. nutritional yeast, if using. Stir until melted. Adjust seasonings if necessary. Turn on broiler. 3. 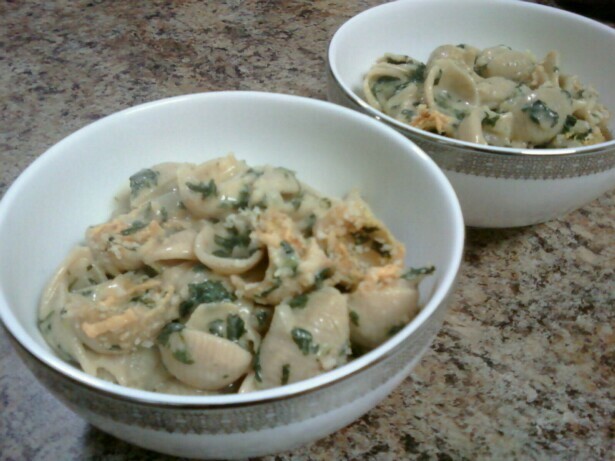 Drain pasta, and combine with cheese sauce in an oven-proof dish. 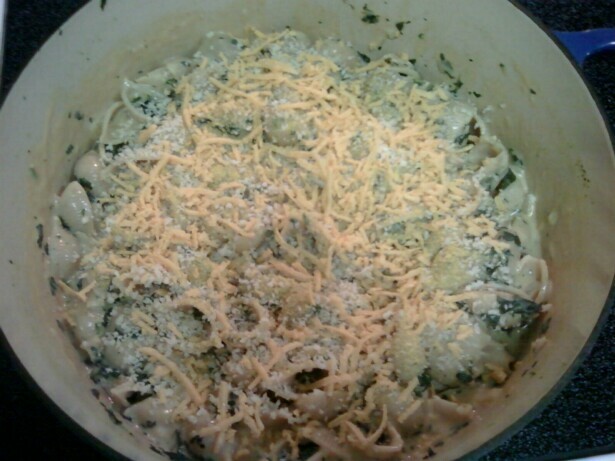 (I cook the pasta in my large dutch oven, drain & return it to the same pot, and add cheese sauce. It saves a step, and a pot.) 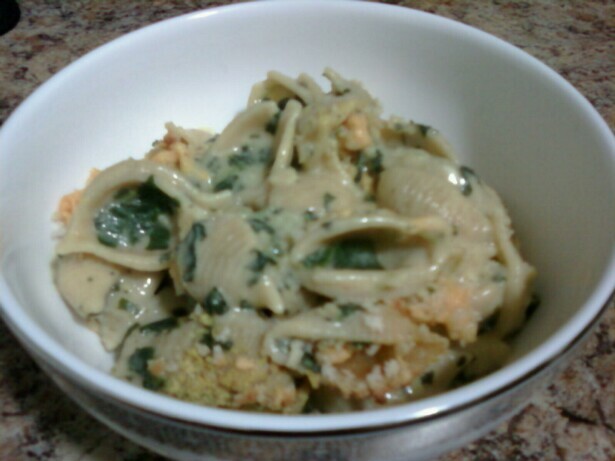 Top with bread crumbs, remaining nutritional yeast, if using, and cheddar shreds. Place under broiler for 5 minutes, or until cheese is melted. 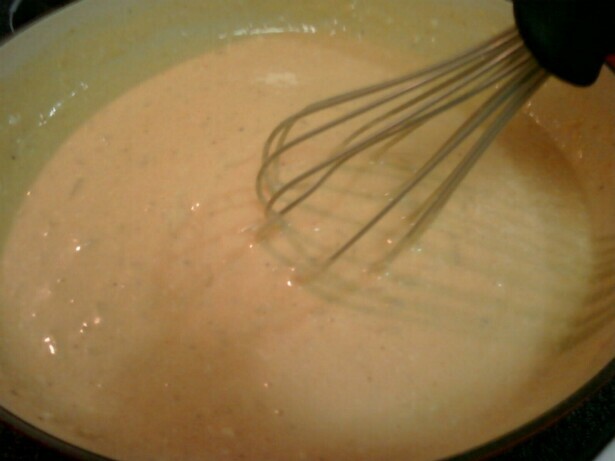 When the milk bubbles the sauce will thicken up. Broil until cheese melts and breadcrumbs are golden.